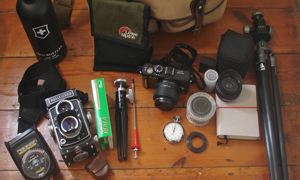 Check out todays bag, it has a beautiful Rolleicord in it. You don’t see many people shooting them nowadays. But Tristan does. Check it out. I am Tristan Tripp, a photographic technician & photographer living in the South West of England. My bag is a Billingham Hadley Pro, a few years old (before the massive price increases! ), but holding up okay. A great bag for everyday use, but not so good when it is full, could do with something similar, but a better shape for what I want to carry. The cameras are a Panasonic GF1 with 30mm Sigma & 20mm Panasonic, the 30mm is a recent addition and I am finding it to be a fantastic lens. 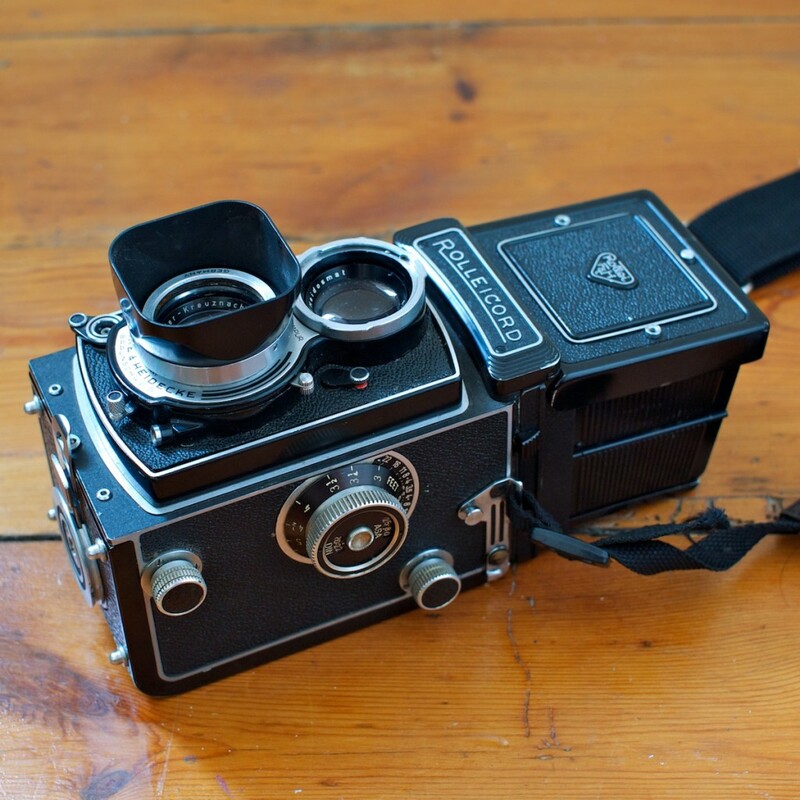 The Rolleicord is a Vb, absolutely beautiful camera, got for a bargain price. 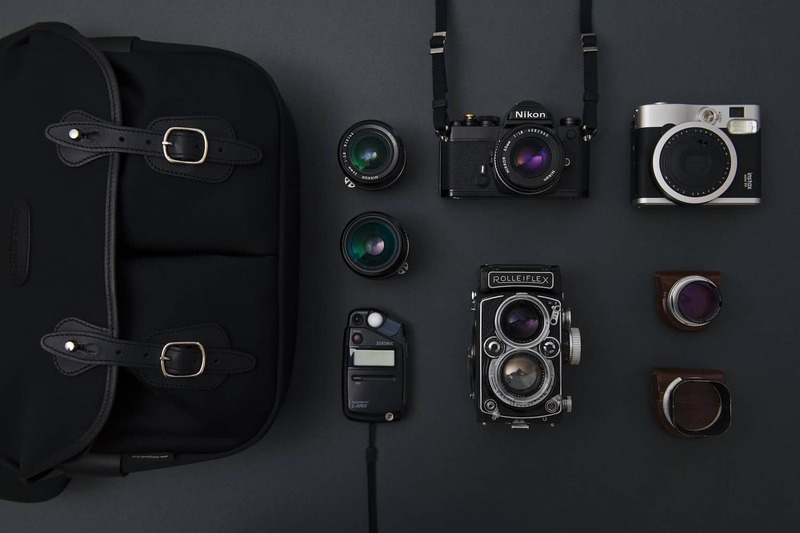 Have used a few different Rollei TLR cameras, the price keeps going up and it seems like users are competing with collectors with bigger budgets. 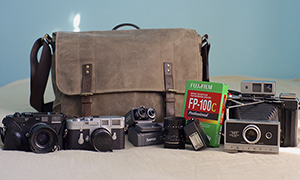 Because of their simpler design and that they where mostly brought by amateur photographers it seems easier to find Rolleicords in good working condition then it is to find an affordable ‘flex in good condition. This one has quite a bright screen for a Rollei, and is very nice to use. Next to the Rolleicord I have a Gossen Lunasix 3 lightmeter, my faithful companion for about 8 years now, has never let me down. Also a Rolleinar filter to allow close focusing, and some beautiful Fuji Reala film. The mini tripod is a Manfrotto table top legs with a Leica ball head, it is incredibly sturdy and fits nicely inside the bag. 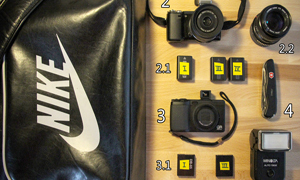 Then there is a cable release and a stop watch for timing long exposures more accurately then counting elephants. The filters are a 10stop ND, 4 stop ND and a polariser, along with a bay 1 to 46mm adaptor to allow me to use them on the Rolleicord. The 35mm film case holds a few spare SD cards. On the right I have a Gitzo tripod with an FLM ball head, very light weight, will fit inside a back pack, but not the Billingham. Notebook is always useful for recording things that have been done, or that need to be done. The green Lowe Alpine thing is a belt pack, but it makes an excellent pocket organiser for the bag for spare pens, lens cloth, usb drive, penknife etc, and makes it easy to switch bags. Lastly, but by no means least, a water bottle, probably the most important thing to carry on long walks through the countryside. This bottle only just fits in the bag, but is light and strong and keeps the water cold. I Don’t drive so most of my images are made within walking distance of home, or places accessible by train or bus. Hence I like to travel reasonably light. 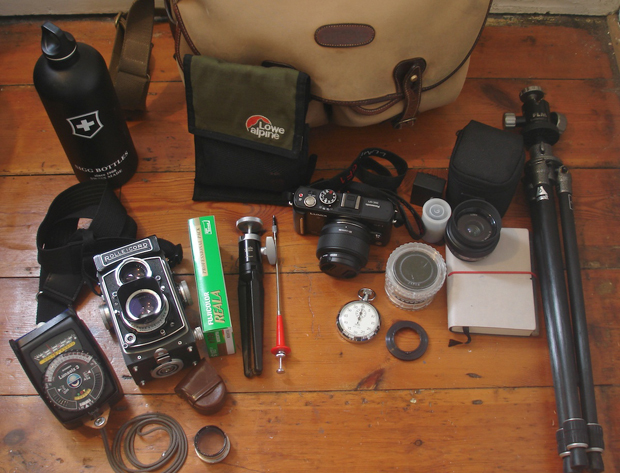 My everyday bag is the same, but minus the Rolleicord and associated accessories, and without the bigger tripod. thanks for sharing your bag with us Tristan. 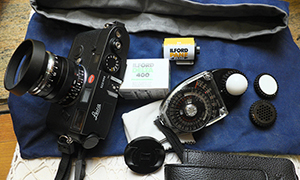 I agree, the Rolleicord is a great camera, and the prices for them are climbing now. Get them while you can.